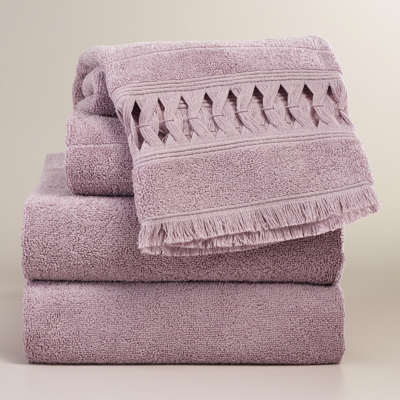 Woven in Portugal of absorbent cotton, this terry cloth Lavender Catalina Towel Collection features an open weave border with soft fringe along the bottom. $9.99-$14.99. Buy here. 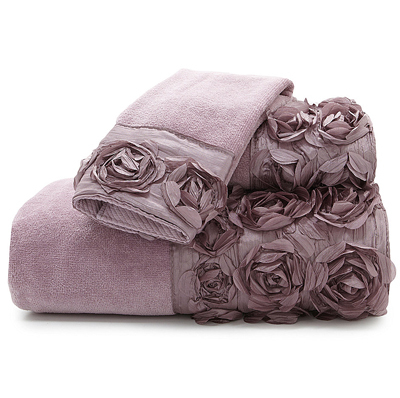 These ring spun cotton Cloud Soft Towels are a delight against the skin. 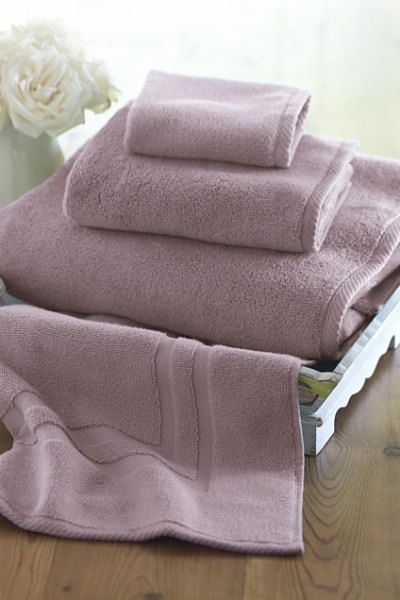 Super soft, absorbent, non-linting and they wash beautifully. 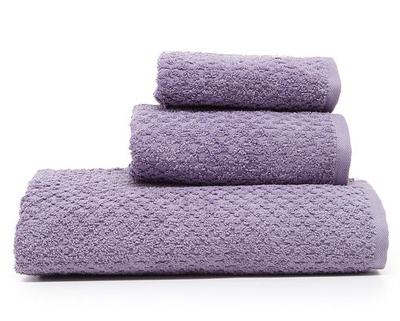 These towels and bath mat are all natural combed cotton with no chemical additives. $7.50-$38. Buy here. 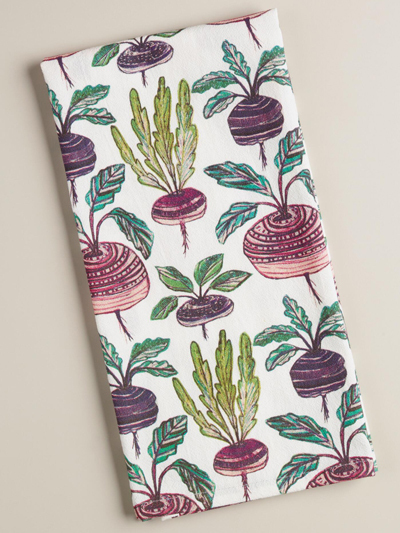 Add vibrant color to your bath with these plush and absorbent cotton Grace & Rosa Towels by Tracy Porter designed for mixing or matching. $11-$25 Sale $8.25-$18.75. Buy here. 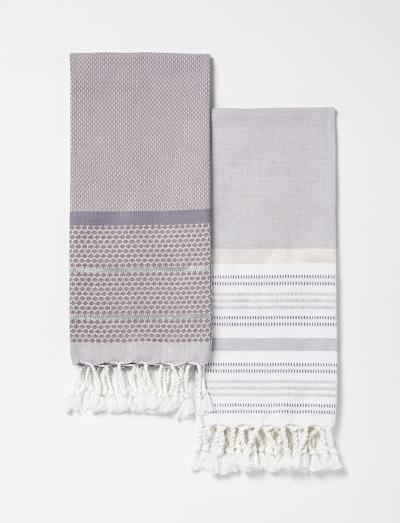 Accented with light metallic thread, these tasseled Hammam Hand Towels evoke the simple luxury of a Turkish bath house. Gift them to your favorite host or hostess, or surprise your guests with a personalized monogrammed one. $19. Buy here. 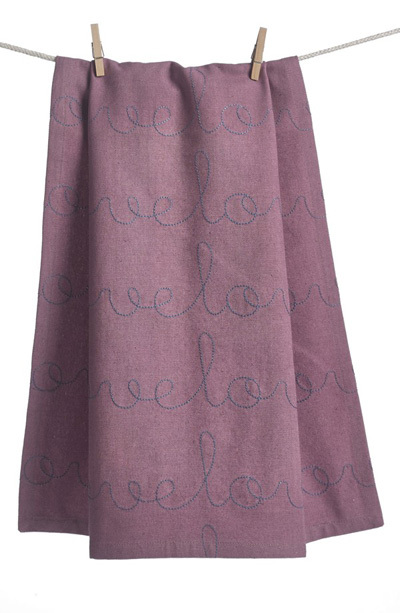 Loopy, embroidered ‘love’ script lends a delightful touch to this soft cotton Love Embroidered Dish Towel in a fresh, pretty hue. $12. Free shipping. Buy here. 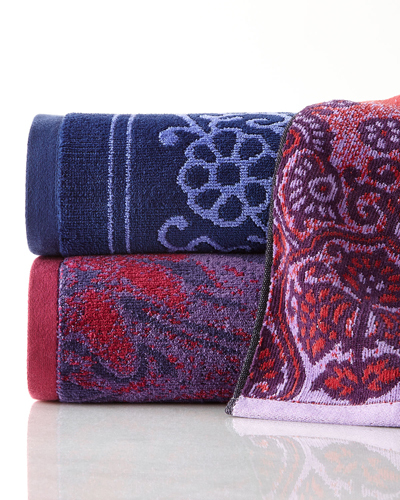 From Croscill, the Graduated Rose Bath Towels feature a 3D fabric rose motif. Made of 100% cotton. 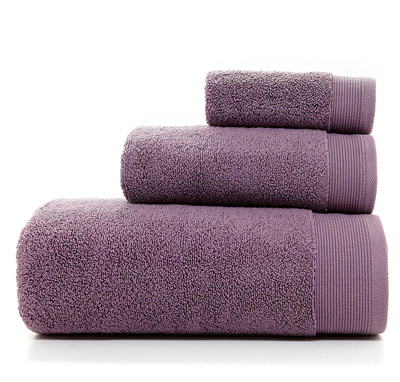 Set includes bath towel, hand towel and fingertip towel. $10-$20. Buy here. A patented spinning process makes these MicroCotton Towels lighter than most towels its size – the way the yarn is twisted and untwisted also yields exquisite softness and absorbency that doesn’t wash off. Made of plush 100% long-staple cotton. $6-$27. Buy here. 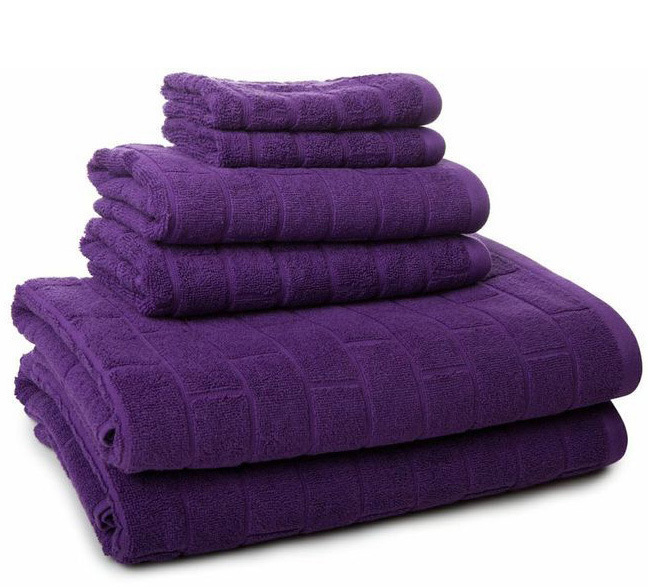 This plush and pure Mysterioso Purple Bath Towel Collection promises bathtime bliss with ultra thick and thirsty, premium-quality 100% cotton terrycloth. 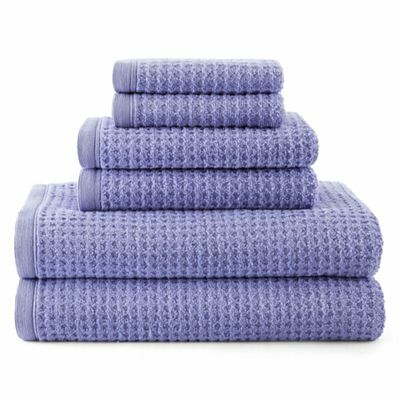 Made from soft, durable and absorbent fabric that holds up beautifully wash after wash. $6.99-$9.99 Sale $3.13-$4.48. Buy here. 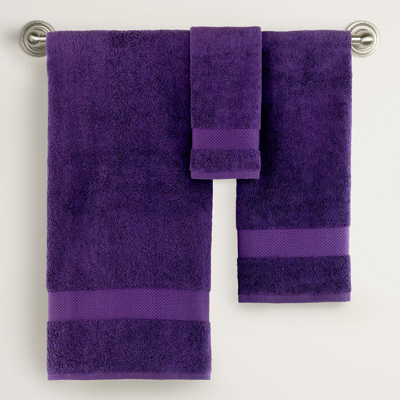 From Studio D, these Brights Natalie Bath Towels feature a soft-hand feel and amazing absorption. Made of cotton. $8-$15. Buy here. 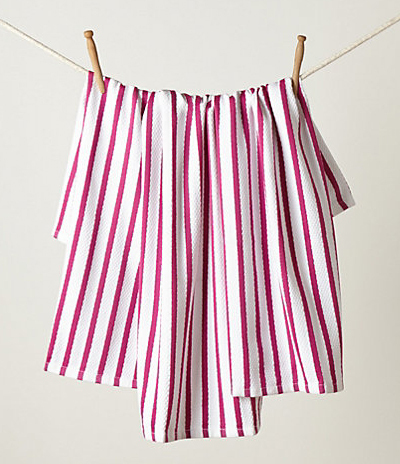 The vibrant Port Stripe Dishtowel Set includes three cotton dishtowels. Each towel measures 30″L x 20″W. $18. Buy here.